When Juan David Mateo Salazar Castro arrived in Korea two years ago from Colombia, he was overwhelmed with culture shock. Unable to find information on life here geared toward Latin Americans, the 25-year-old set out to fill the void. “I came in the summer and everything was so crazy for me at the beginning. People’s outfits, how they behave, the food. It was really difficult,” he said. 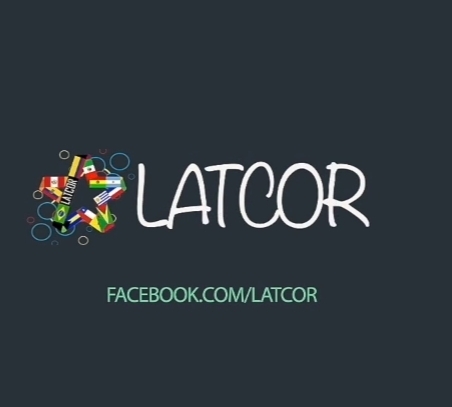 After discussing the lack of resources with a friend, they decided to create content to “bridge the gap between Asia and Latin America.” Through the Latcor Grupo Facebook page for Latin American people in Korea, Juan wants to create a go-to source for anyone seeking to learn about Latin America here. The latest statistics from the Ministry of Justice show that there were just over 6,000 people from Latin America in Korea at the end of July, a 12.8 percent increase from a year prior. Brazilians account for the largest number of Latin Americans, followed by those from Mexico and Peru. With a growing population here, Latcor wants to unify Latin Americans in Korea and help them adjust to life here by providing information on scholarships, visas, jobs, language classes and entrepreneurship. They also produce videos -- available in Korean and Spanish -- about life in Korea and use the Latcor platform to make original content where people can discover Latin America. By testing the Korean public’s general knowledge of Latin America and quizzing them on everything from famous people to traditional cooking utensils, the group wants to introduce more culture that goes beyond a general association that usually begins and ends with coffee. While Juan has had a positive experience here and has mainly received questions of curiosity, he acknowledges that isn’t the case for everyone. As Korea become more multicultural, it brings with it changes to the idea of what it is to be Korean. Juan hopes the Latcor group can be used to reach out to the public for cultural exchanges and understanding. “There are a lot of cultural differences (between Koreans and Latin Americans). People in Latin America are more open,” Juan said. He hopes to share this openness with a country that is known for its long work hours. “It’s about involving more Koreans to learn about Latin America,” Juan said. Throughout September, the Mexican Embassy is holding its Mexican Month in Korea to celebrate its 207 years of independence and 55 years of diplomatic relations with Korea. The program will feature extensive activities including culture, music, food and movies. More information is available on the Mexican Embassy website.